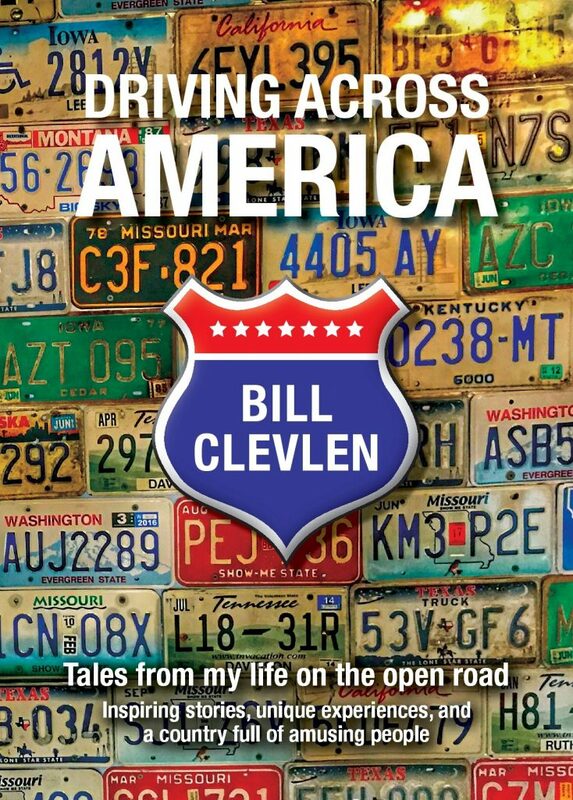 Kansas has long been thought of as a place to simply drive through to get across the country. The state’s capital city has plenty of things to see and do which may stun tourists who think there’s only flat land and gusts of wind awaiting them in the nation’s 34th state. During a recent visit to Topeka, I learned lots of interesting things that you may not know. Here are five of them. You can climb a whole lot of steps to the very top of the Kansas capitol building. 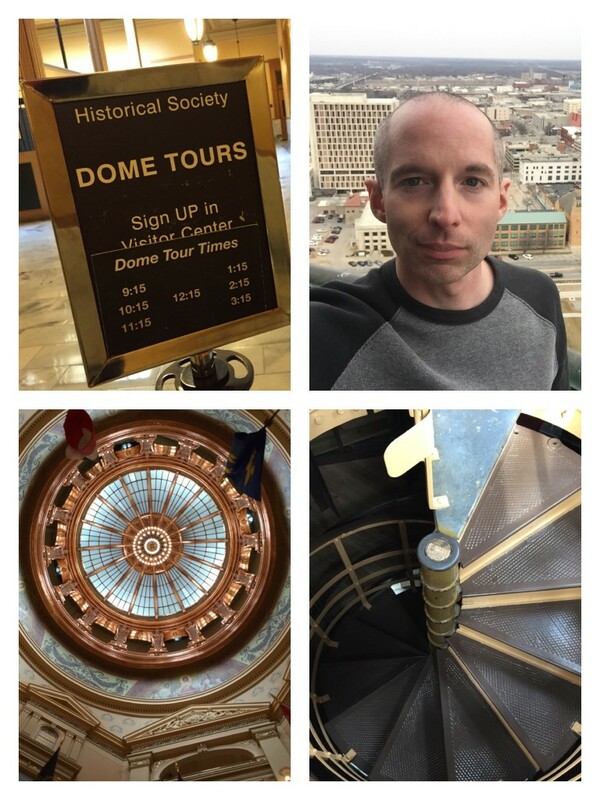 According to our tour guide, we climbed 296 steps up to the dome that sits above the Kansas state capitol building. 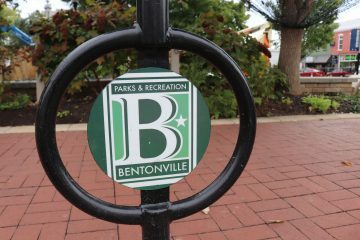 You begin the climb on the 5th floor and gradually make your way to a 360 degree view of downtown Topeka. However, the climb is not for those that are afraid of heights. Being up on the very top isn’t really the problem – it’s getting there. The stairs are old and narrow and even become spiral near the top. You’d be well advised not to look down too often. 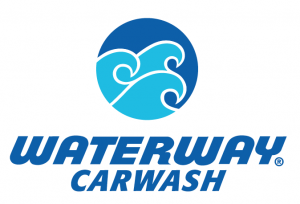 You’re instructed to make sure your shoes are tied and any loose objects must be tucked away. Hang on to the railing, too. You’ll be seeing the top side of the building’s inner dome with a whole a whole lotta empty space in-between that will make you feel tiny the further up you go. Don’t forget – you also have to walk back down 296 steps once you’re finished. Be sure to tour the capitol itself, too. It’s actually a beautiful building and the tour only lasts about 45 minutes. 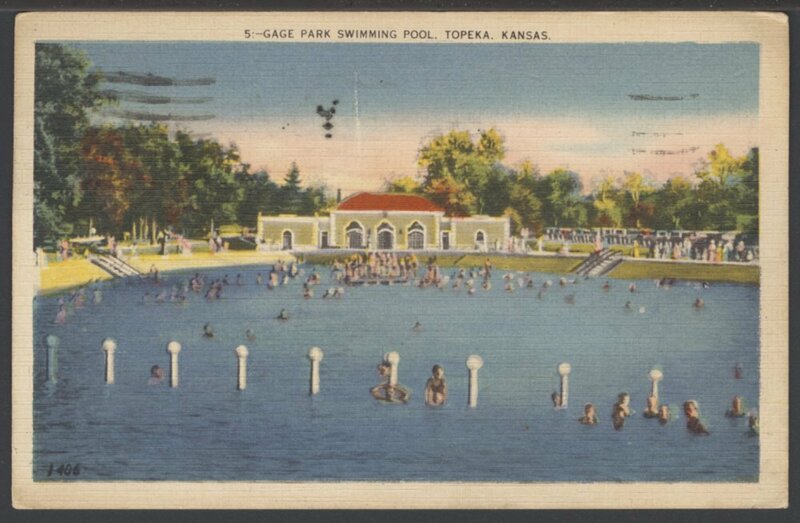 Turns out the parking lot at the Topeka Zoo was at one time a huge pool! According to an archived news clipping, as early as 1920, the pool was actually considered the largest swimming pool in the world. You can see a doll that helped change history. While visiting the Brown Vs Board Of Education historic site in Topeka – you’ll notice a small doll in a display case. 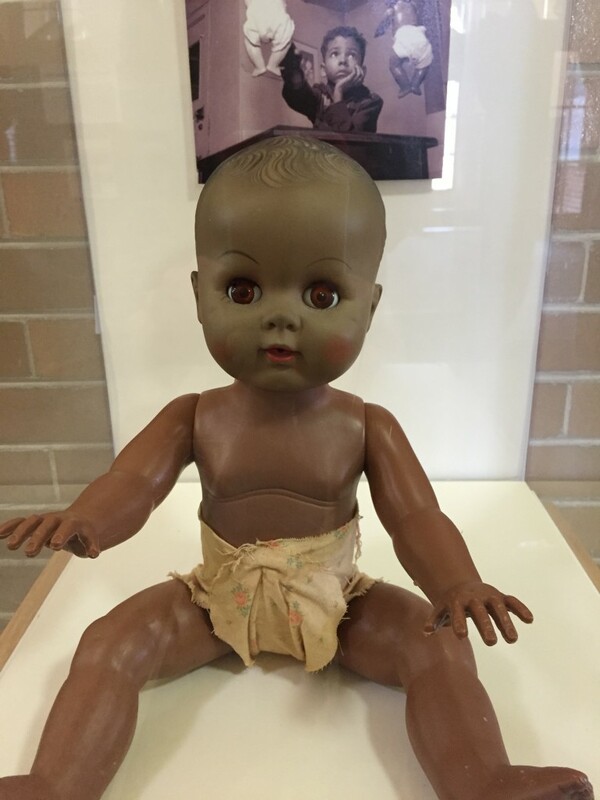 The baby doll was used in the 1940’s by two psychologists to study the effects of segregation among black children. Known better as “the doll tests” – children were asked a series of simple questions while looking at a white doll and then a black doll. The children overwhelmingly had negative things to say about the black doll – which represented their own likeness. The tests concluded that segregation was having long lasting, negative effects on children of color. There’s an outdoor art museum of old junk that’s bizarre enough, it even attracted William Shatner to stop by. 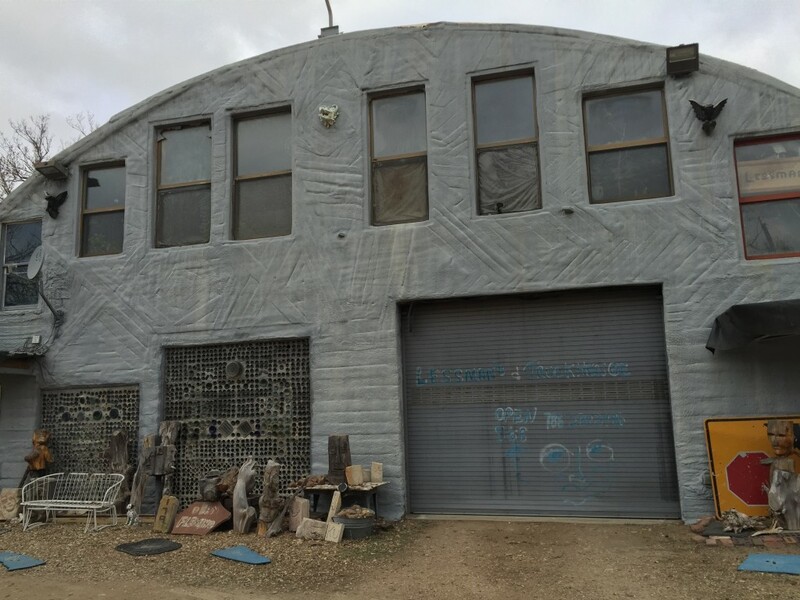 It’s called Truckhenge and putting it simply – it’s an artist display of everything Topeka residents through out in the trash. Of course, that’s not entirely true – though the property is more or less a huge junk yard. 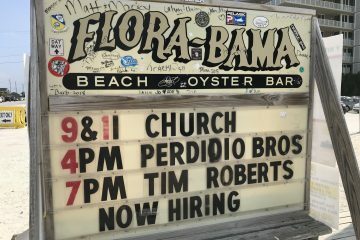 The owner, Ron Lessman is an interesting fellow that actually has some really great artistic talent. His paintings, seen all over the property are loud and unusual. He’s collected bones, vehicles, signs, rocks, statues and more. During our visit he was making a wall of old cigarette lighters. If you’re lucky enough to tour the inside of his home – the elevator will both intrigue you and scare the crap out of you at the same time. Actor William Shatner stopped by recently to feature the property in a documentary. Business owner and Topeka resident Mike Patterson possesses the largest assortment of Evel Knievel stuff in the world. 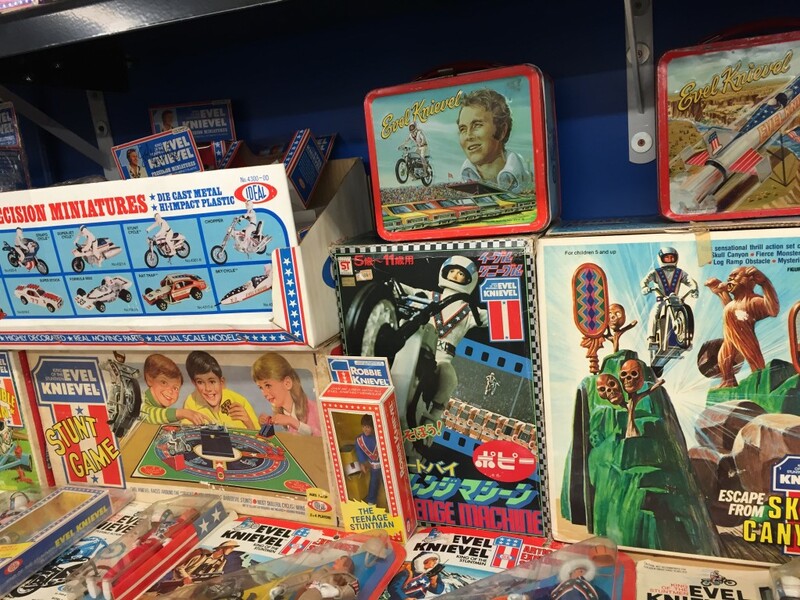 The collection includes everything from jump suits and bikes that the daredevil used in historic jumps to board games with his likeness plastered on the box. The “stuff” will be part of a new museum slated to open in 2016. Mr. Patterson owns a local Harley Davidson dealership and has some great stories of his own – including getting a call to fix a motorcycle that belonged to music legend, Jerry Lee Lewis. The refurbished bike sold for more than $300,000.